I know Jim has been talking about this subject today on the big radio show, and I just wanted to get a post up. This weekend we saw just a taste of what happens when the government stops providing support, and when they provide free support. First, we have an ever-so-brief outage of the federal Supplemental Nutrition Assistance Program (SNAP) that happened across 17 states. This issue had absolutely nothing to do with sequestration or partial federal government shutdown. The outage occurred during a “routine test” of backup systems Saturday morning, Jennifer Wasmer, a spokeswoman for Xerox, which administers the program, said. By late Saturday, access had been restored. After the system failed, SNAP and WIC beneficiaries in the affected states were unable to buy food using electronic benefit transfers. “I’m trying to reach out to everybody because I’m not thinking of me an adult who can figure out things. I’m thinking of the simpler person in the world who is sitting there trying to just do basic shopping to feed their kids. You don’t want children going hungry tonight because of stupidity,” she said. Really? What has our country come to when people say children will go hungry and possibly starve if the SNAP cards are off line for eight hours? Have we gone mad? No, it’s the culture of dependency that has been brainwashed into the minds of Americans for decades. That culture of dependency also breeds this type of activity … unlimited demand for stuff people think is free. So when the system failed, it failed open. This is the exact opposite of what happened with the SNAP card and let’s take a look at the reaction of people who thought they were getting a bunch of free stuff. I want you to carefully note the reaction. Shoppers gave mixed reactions to the incident, with one man in the Springhill store told KSLA it was simply “human reaction” to stock-up when given the opportunity. So it’s now a simple “human reaction” for people to take things “from rich people” when they think nobody looking? I added the “from rich people” to the thought process here for the simple fact this is in direct relation to the class warfare stuff that’s been going on for years. This is not unique. We’ve seen tons of security camera footage of groups of “youths” walking in and taking over stores. Stealing stuff. Walking out. Is there any shred of integrity with this group? You’re witnessing the destruction of a culture, live and in technicolor. 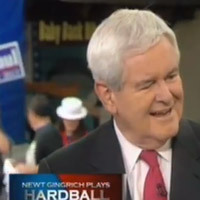 Newt goes after Chris Mathews - What kind of racist thinking do you have? THAT is what our government and its coddling have wrought: a dependent class of people that can’t fend for themselves, feed themselves, support themselves in general without BIG ?Brother and the Democrats doing it for them, hence the almost instantaneous panic. They are the low information voters, because liberals have made them that way, through takeovers of the “education” system, and a forty year lock on the government after WWII. I would trade these people for hard working, appreciative immigrants (legal immigrants) any day. I wonder if there are any hard working, appreciative illegal immigrants out there. Of course there ?are hardworking, appreciative illegal immigrants out there. But, nobody can explain to me why they can’t go through steps to become legal. Big Papi did it, so can they. What Lynn said.? I am sure there are literally billions of hard working potential immigrants out there, and are waiting for their turn to enter the country legally.? Similarly, there are lots of illegals committing crimes in this country, who probably aren’t that appreciative or hard working, and ?bama has direct ICE not to deport them and we have lousy “sanctuary cities” like New Haven and Cambridge that enable them. They stopped “teaching a man to fish” decades ago. Could this be a possible preview of an aftermath after an economic collaspe? Yes!? It was looting, plain and simple.? They just didn’t have to break window to do it. I bet most of them think they deserved what they were stealing in this age of liberal ultra entitlement. So lets make minimum wage $22/hr and do away with EBT, welfare, etc. There will be a living wage available to those who cannot make it on $8.25/hr now. I wonder how many not working because minimum wage is too low would actually work knowing they will now have less recreation time to get the same monetary benefits. 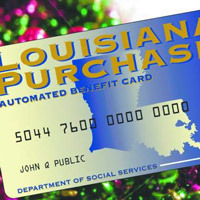 The people in Louisiana at Walmart know that there is a limit on their cards and knowingly and willfully committed larceny. ?President Stompy Foot knowingly and willfully runs over the country’s credit card limit and wants more and threatens citizens with default if he doesn’t get his way. No wonder people figured they could get away with it.? 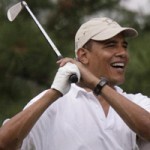 Social media has just demonstrated – again – how Obama got elected (twice).? The reward in this case was ‘free stuff at Walmart’ instead of ‘free gubmint stuff’ from the Democrats, but it works the exact same way.? We have lost.? Who will vote to stop it?? Chris Murphy, Sen. Skeletor? The “best” part is: the information probably spread like wildfire via ?bamaphones!! 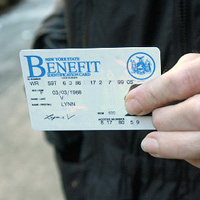 The EBT “glitch” incident was just a test to see how fast the Regime could generate and incite a flash mob. The thought of that happening throughout the country is frighteningly apocalyptic. I would bet that not only food items were stolen. Also stolen were flat screen TVs, cigarettes, the drugs in the pharmacy, entire racks of clothing and anything else valuable. Deportations are great, but they simply come back over the border once deported due to the porous border.? Add to that the “sanctuary cities” and permissive driver’s license programs and inadequate voter identification laws, and I think you can see which way the water is flowing.? ?bama is talking out of both sides of his mouth.? Again. Don’t be troubled by the facts, just keep the disinformation going. Well, list the facts then.? Do “sanctuary cities” exist or not?? Do we have an illegal alien problem or not?? Are we far too permissive to people that should not be in this country or not?? Do we? have a porous border or not?? 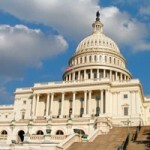 Did ?bama pass an EO to effectively enact the “DREAM” act or not? Where is the disinformation?? Please elucidate. Prediction: Look for the USA to break apart along red states/blue states lines down the road, the red states going their own seperate ways. I’d move in a heartbeat.? Look for a “leaving tax” levied by the blue states. Interesting that you should say that: I have a few friends who are actively looking to move, with their pension checks, to other countries, some of which I never would have considered. Their take is that the politics are poisoned here and other countries are actively courting Americans to live there with incentives of no taxes, generous import incentives and other perks.